‘Patience is a virtue’ is a popular saying, and it definitely applies to this heartwarming story of four-footer Capone. 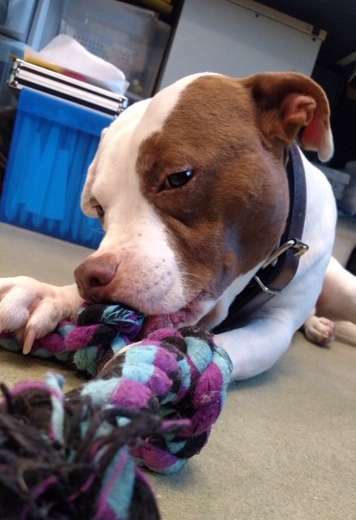 The pup, a seven-year-old Staffordshire terrier, has spent quite some time at the Ionia County Animal Shelter. 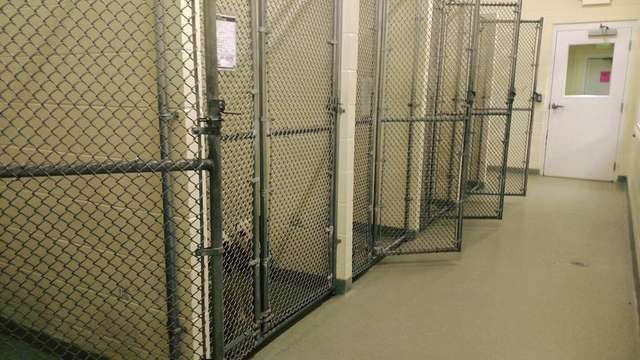 In fact, almost everybody who visited the Michigan-based shelter knew the terrier by name – but he never had the luck of being adopted and finding a forever home. It seemed like Capone was destined to stay in that shelter forever and at one point, he even ended up being the very last pup left. 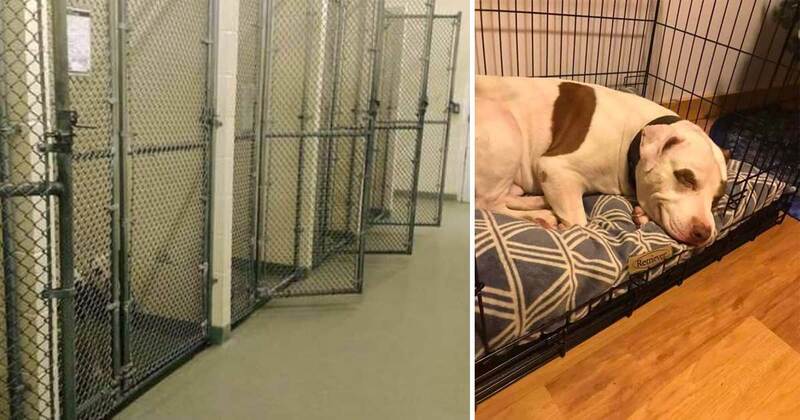 Time after time, this poor pup saw how his shelter buddies left the place and moved to a loving forever home. Capone always stayed behind and because the other pups were usually adopted rather quickly, he was often very lonely. 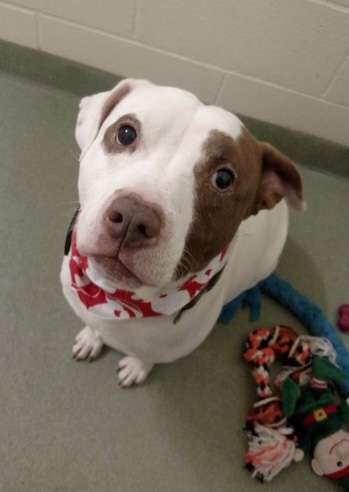 Carly Quinn, the director at the Ionia County Animal Shelter, recalls how it felt to have the entire shelter empty – except for Capone. She also didn’t seem to understand why, because the Staffordshire terrier is an absolutely lovely and friendly pup. Capone was actually an earlier resident of the animal shelter because he was once adopted two years ago. 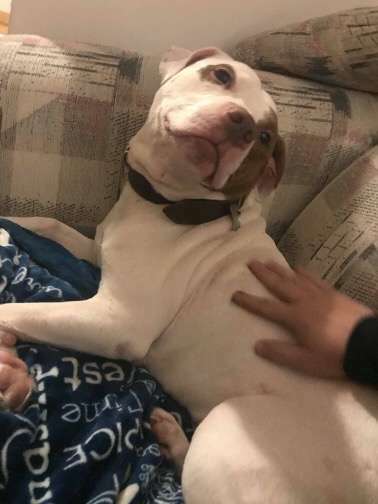 A family took the pup in shortly after he was put up for adoption, but a fight with another pup at the family’s home resulted in Capone being sent back to the shelter. This time around, Capone was behaving very differently. He was depressed, missed his family and didn’t have an appetite. The shelter staff had to do their best to make sure that Capone would have eaten something every day. His behavior started to have an effect on his health as well because Capone quickly started losing weight and was feeling less and less energetic. The reason for his condition was clear: Capone missed his family. He felt left behind and absolutely devastated. Capone wasn’t the same dog he was one year earlier. It’s as if they were dealing with two completely different pups. The director of the animal organization thinks that he really felt betrayed by his earlier family, and he was much more introvert than he used to be. Capone didn’t have many friends in the animal shelter and had plenty of difficulties getting to trust other animals and humans again. However, the shelter staff wanted to do everything in their power to make Capone smile once more. Unfortunately, though, only people who would want to adopt him could truly make him happy again. And despite his weaker period, in his heart and essence, Capone was still the lovely and kind pup he was known for. The staff even calls him a ‘velcro dog’ because they became so attached to him. 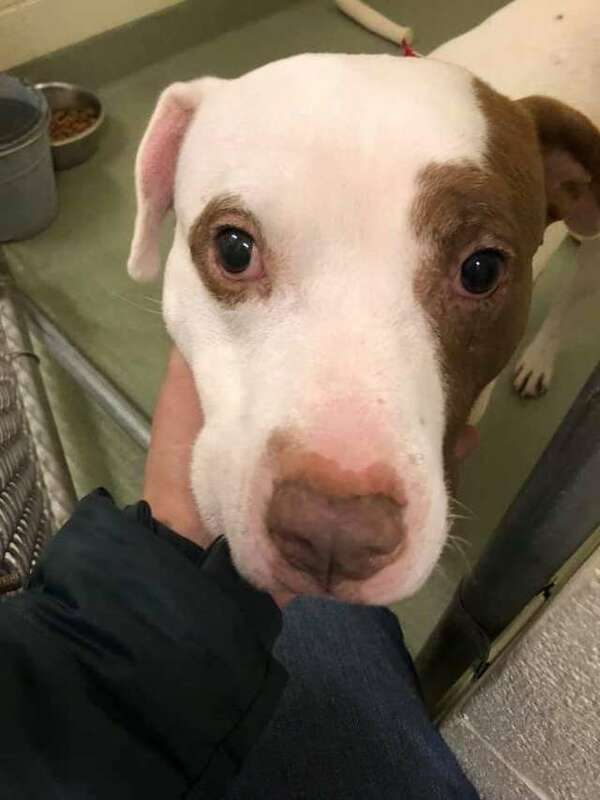 Because of the earlier incident, the shelter actively searched for a family with no other pets. Unfortunately, the options for Capone shrunk and it was quite a challenge to find him a loving home. 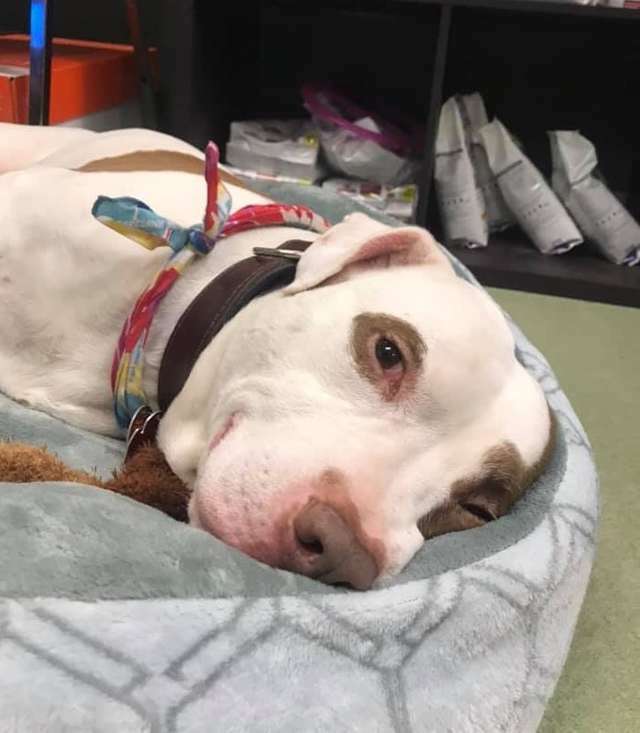 The shelter staff was determined and never gave up, and then one of their posts on social media finally paid off. For weeks, they’ve posted his pictures on social networks asking people to adopt him and a match was found, at last. The shelter staff was absolutely elated about the news. Jon and Ashlee were interested in adopting Capone as they absolutely fell in love with him. They loved all of his pictures and his story as well. They really wanted to give this pup the attention and affection he deserved. In fact, they had already gone to the pet store to get him his own name tag before the couple even came to the shelter. Understandably, the animal workers were a bit wary. After all, they had no idea if Capone actually wanted to go home with this potential new family. The concerns weren’t needed, because these three were a match made in heaven. Every eye in the room was teary as they saw how Capone finally regained his smile. Once the loneliest pup of the shelter, but now a smiling four-footer with a loving forever home. 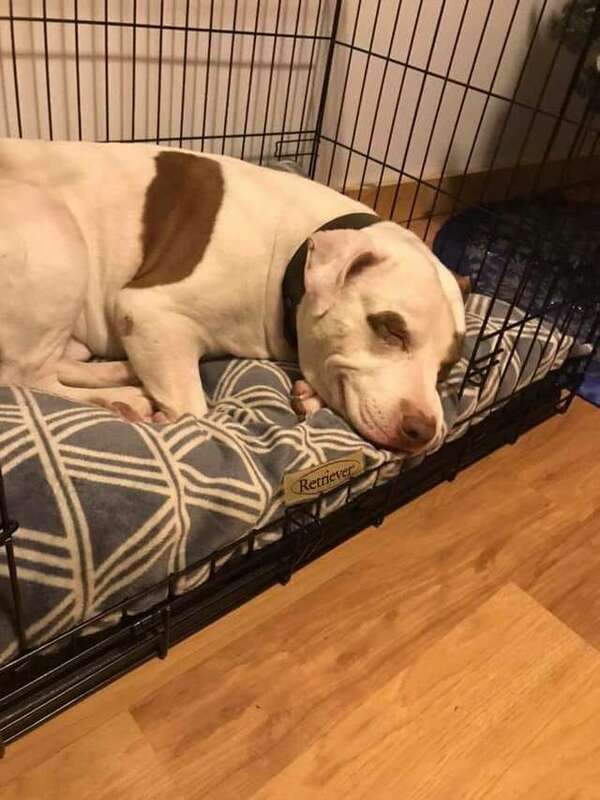 His smile in his new dog kennel speaks more than a thousand words.